While Costa Rica holidays are filled with so many incredible sights and experiences, few seem to have the impact as seeing the nesting sea turtles. There are plenty of different species of sea turtle to be found. 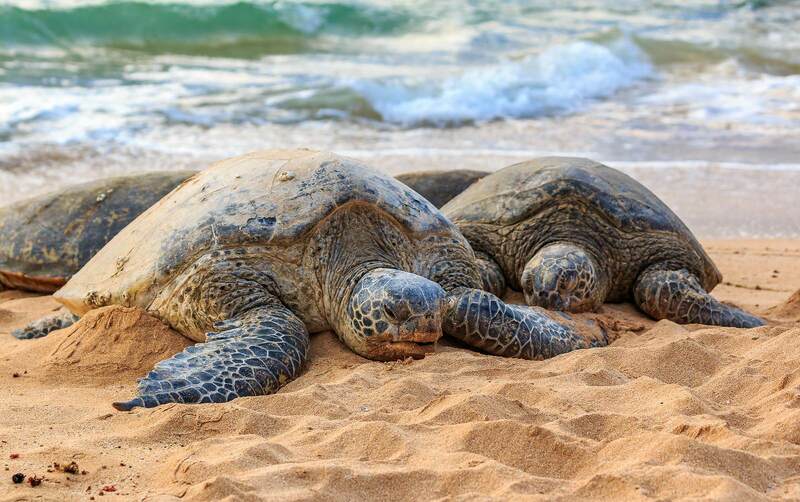 These include the mammoth leatherback turtle, the abundant if petite Olive Ridley sea turtle and the critically endangered hawksbill sea turtles. All are stunning creatures that you should definitely go out of your way to see. Costa Rica can offer plenty of tailor made holidays for nature lovers trying to see and experience as much of the country’s incredible natural habitat and the fascinating creatures that live within. However, here we’ll be looking at the green sea turtles, what they are, where you can find them and how to view them without causing any distress to their natural state of being. What are green sea turtles? They are the second largest sea turtle in the world, behind the iconic leatherback turtle. How big can they get? Well, they are known to weigh up to a whopping 500 pounds and can reach around four feet in size. They’re spectacular creatures to behold for both their scale and their unique appearance, in part thanks to their serrated, sharp beak which allows them to pick off tough algae and graze on fertile sea beds. In fact, they are known to improve the health of sea beds by taking off the tops of leaves without damaging the root, essentially giving them a much-needed trim. This helpful herbivore is unfortunately facing endangered status with a decreasing population due to numerous factors, including the harvesting of their eggs, their meat consumption, coastal development, plastic ingestion, oceanic pollution and more. So, if you’re going to Costa Rica and you want to see the green sea turtle, then it may be wise to do so sooner rather than later. Where can you find the green sea turtle? There are tonnes of places throughout Costa Rica where you can find the native species of sea turtle. As for the green sea turtle, the two main places in which you can see them nest includes the Osa Peninsula, which is found in the southwest region of the country. However, it shouldn’t be too much of a surprise that you can find nesting green sea turtles here, as it is home to half of all species living in Costa Rica. The other area you can spot them is Tortuguero, a national park found in the Limon Province. 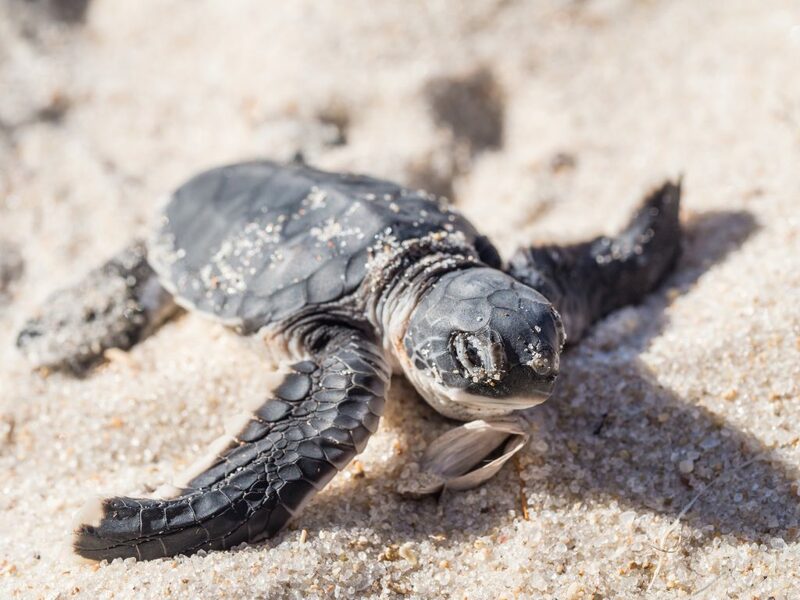 Here are some things to keep in mind when going to see the endangered green turtle to make sure you don’t upset the delicate natural balance of their habitat. Holidays to Costa Rica can often be improved by utilising the skills and knowledge of reputable guides. The best way to ensure that you get the fullest experience while making sure that you’re going about it in a respectful, non-intrusive manner is to get a trustworthy guide who should not only be able to show you the best places to view green sea turtles, but also help you learn about them as well. Do not use lights of any kind, as this can disturb the creatures, especially camera flashes. Avoid the area between the high tide line and the greenery, as this is where they dig their nests. You could block their path or even worse, crush their nests. Keep a decent distance between yourself and the turtles so your presence doesn’t disturb them. While you don’t have to be silent, keeping noise to a minimum will also prevent your presence being a nuisance. All of this is even more important while they are digging their nests. As they are naturally programmed to do so, even in the face of stress or danger, people think the turtles are oblivious to their presence. This is not the case and you should be respectful regardless. By keeping these few things in mind, you should have a wonderful time seeing the green sea turtles, creating plenty of incredible memories from your exciting trip to Costa Rica.